Day 2 was a pretty uneventful 7AM to 2AM drive. Shouldn’t really have taken that long but Monty and I stopped a lot. At one point I got bored and just decided to get lost off the highway and wander around some small town on the Illinois-Indiana border. All in all it was one of those very long, but pleasant drives. Day 3 was Memorial day so I spent the day with family here in Michigan. Today was Day 4 and I did some bike shop visiting. 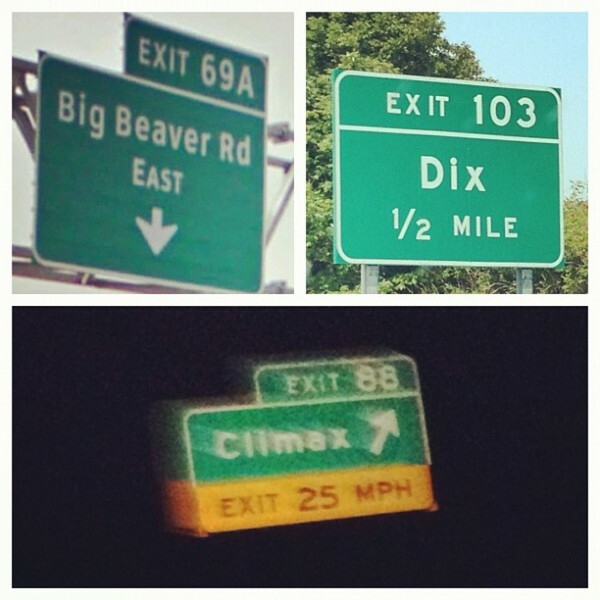 To entertain myself I took pictures of road signs that seemed funny to me. I have to admit that everything seemed a lot funnier when I was partially out of my head from a solid 16 hours of driving. I stopped by Albe’s today. . Albe’s was my very first sponsor. It started with a free T-shirt and a 15% discount 20 years ago. 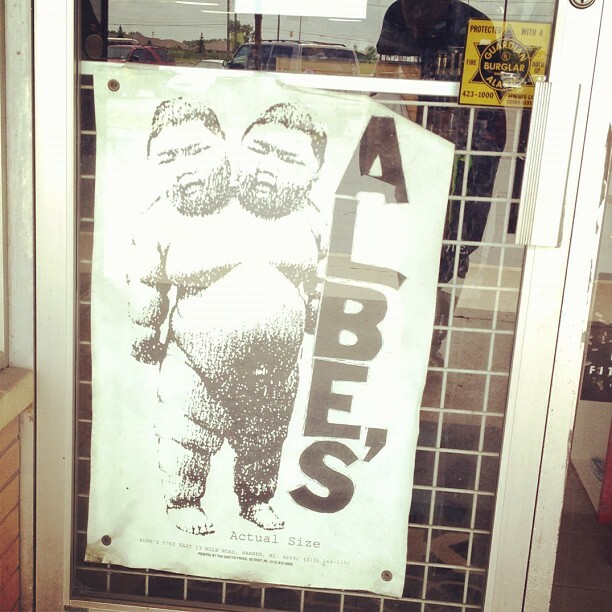 Albe’s has been in business since 1968 and selling BMX exclusively since 1988. Pretty impressive that they were in business before BMX was really even invented! 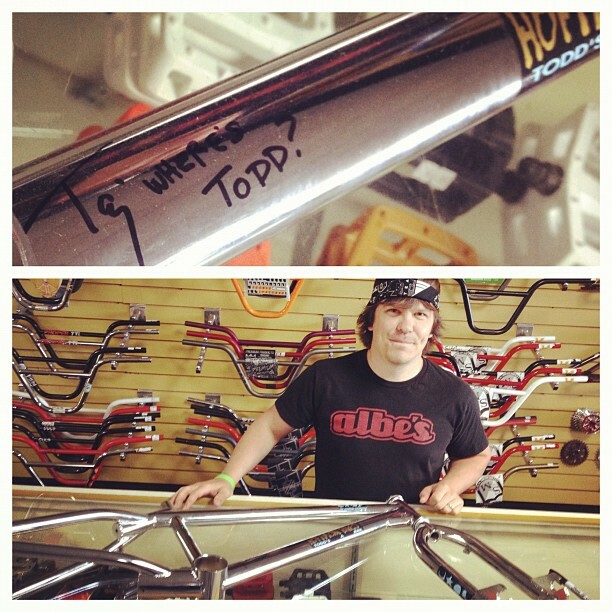 Flip had me sign an old Hoffman “Taj” frame for the wall. If you’re not old enough to remember GT Epoch headsets you probably don’t remember this frame. It was a frame I designed for Hoffman Bikes and was famously littered with different possible things that T-A-J might stand for. Like the one Todd FromAlbe’s made up… Totally Awesome Jumper, and my response, “Todd’s A Jerk”. After Albe’s I stopped by Cycle Therapy. That shop is right by one of the elementary schools I briefly went to in Waterford, MI. Funny to drive through the old neighborhood. The owner Ernie also used to ride BMX with my big cousin who got me started in BMX. In a round about way this shop is very tied to my roots. I also think I got them interested in some Fairdales. Hopefully there will be some cruising around my old neighborhood soon. I stopped by Wheels In Motion in Ann Arbor too. I was born in Ann Arbor and lived there right before I hit the road for Austin. I tried to play the angle that I was a “local” and so they should pick up Fairdale. I’m not sure that worked but we’ll see. I think Fairdales would be good in Ann Arbor. Last I stopped by Trails Edge in Milford. It was a pretty out of the blue stop but I figured I lived in Milford for a years as a kid too so what the heck. This shop is right by the start of a nice park bike trail, I for sure designed our new Flyer bike around exactly that kind of rider. 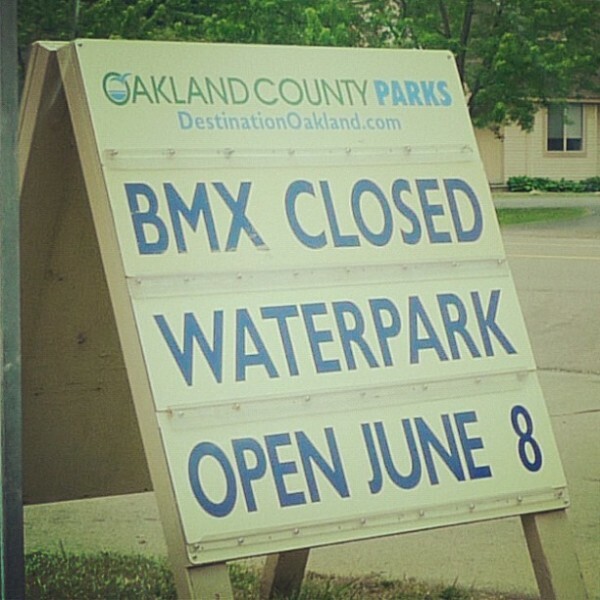 I also cruised by Waterford Oaks BMX track where I first started racing some 23 years ago. It was closed though. Tomorrow I have to wait around mom’s house a bit for Fed Ex to bring me a new credit card. Somehow my old one’s number ended up being used by some thief to try and buy a $2000 computer. Luckily the transaction was stopped but the card was also locked down. 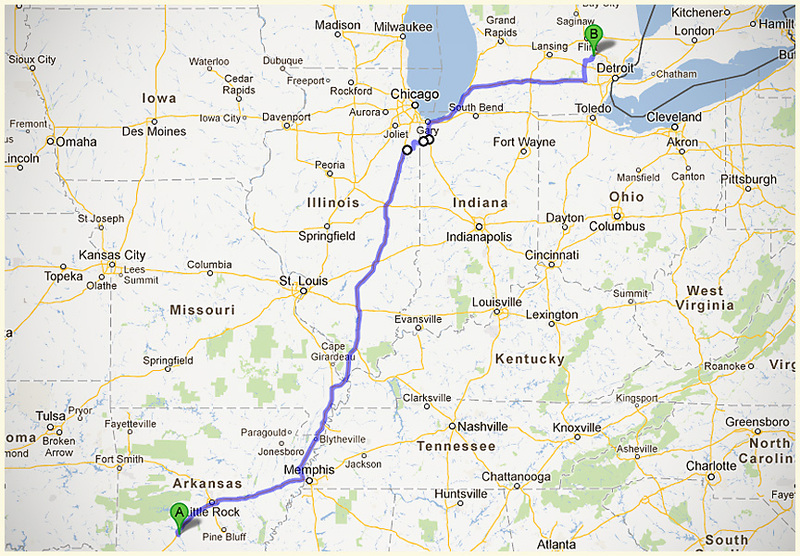 Once I’m re-plastic-money-ed I’m heading east and will eventually end up in NYC.